Apple hasn’t historically used massive design or specs upgrades as the selling points for its iPhones. Innovation and change come in slow and measured steps at Cupertino which is the opposite how things roll at its Android competitors. In the world of Android, every year we see higher screen resolutions, more pixels fitted into camera, and better processing chips among other such details in the spec-war. If a latest rumor is to be believed, Apple is finally getting ready to pack higher resolution displays in its upcoming iPhone 6s duo. This, as reported, will be higher than anything Apple has managed so far. According to a Chinese site, Feng, Apple will use a Full HD display in the 4.7-inch iPhone 6s. iPhone 6s Plus will get a massive improvement with a 2K display in its 5.5-inch form. Currently, iPhone 6 ships with 1334 x 750 while 5.5-inch iPhone 6 Plus comes with 1920 x 1080 resolution giving the upcoming iPhone 6s duo quite a major pixel advantage. Note that Apple took years to see and judge the success of larger sized phablets before introducing its 5.5-inch iPhone 6 Plus only last year. Android market was producing the same sized phones for years. This is only one of its kind rumors with no other news backing it up so far. With iPhone 6s and iPhone 6s Plus launch coming nearer, we will see more rumors materializing to share some details about the design and iPhone 6s duo specs. Considering Apple’s recent rumored investment of $1.7 billion in the largest mobile display maker JDI for new iPhone panel plant, there might be some truth in this latest report of improved display resolution. 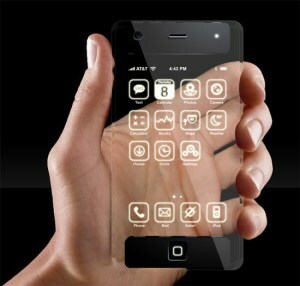 Even if it’s true, it will be highly likely for Apple to use the Full and Quad HD screens in the next year’s iPhones. This is an s year for Apple so not many changes are expected out of Apple. We have been seeing reports of improved camera modules coming in iPhone 6s and 6s Plus. This report too talks about Apple fitting in a 12-megapixel shooter. 12MP Sony camera sensor, 32GB base model, and Force Touch also remain a part of this latest report too. Looking at a better camera and last year’s decision of introducing larger-sized iPhones, It would be an organic development for Apple to move towards better screen resolutions but we think it would only happen next year.